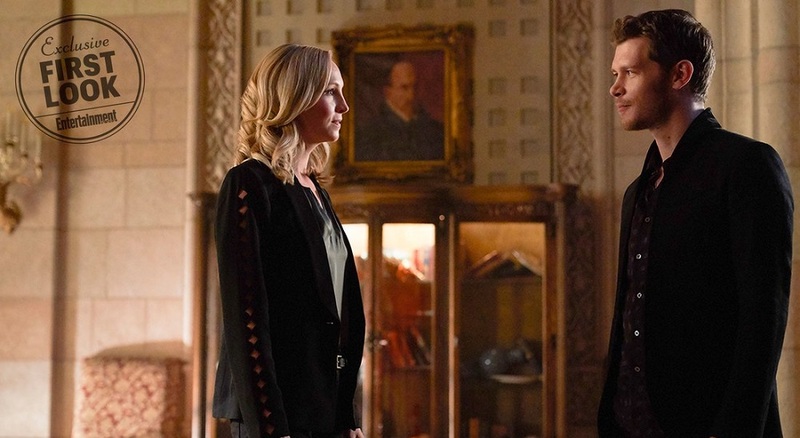 The final season of The Vampire Diaries‘ New Orleans-set spin-off will bring the long saga of the Mikaelsons to a close and give fans the Klaus/Caroline reunion they’ve always wanted. Starting April 18th The Originals will air every Wednesday at 9/8 central on the CW and below you can find the synopsis for the first episode. Desperate to see her father Klaus (Joseph Morgan) after seven years, Hope (Danielle Rose Russell) resorts to drastic measures to bring her father back to New Orleans. Hayley (Phoebe Tonkin) attempts to minimize the fallout from Hope's actions, but not before news of what she's done ripples through the city. Meanwhile, Freya's (Riley Voelkel) guilt over not being able to reunite her family gets in the way of her happiness with Keelin (guest star Christina Moses), while Rebekah (guest star Claire Holt) struggles with her inability to fully commit to Marcel (Charles Michael Davis). Finally, struggling without Elijah (Daniel Gillies) by his side, Klaus' murderous rampage throughout Europe leads to an unexpected encounter with Caroline Forbes (guest star Candice King). Yusuf Gatewood and Steven Krueger also star.